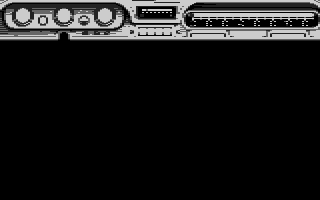 Many thanks to Dave Peacock, who recently recovered the following graphical assets for Beverly Hills Cop on the C64 from his work disks. It seems that at somepoint, Michael Owens took over graphical duties on the C64 – leaving Dave to concentrate on the Spectrum and Amstrad versions. 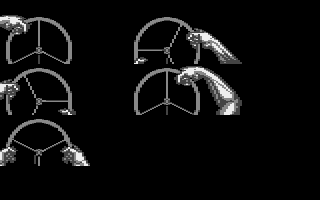 Here you can find an unused car dashboard and steering wheel – which was probably meant for the 3D driving section which was dropped from the C64 edition. If anything else turns up, we’ll add it here. This entry was posted in GTW64 news, Unused materials. Bookmark the permalink.